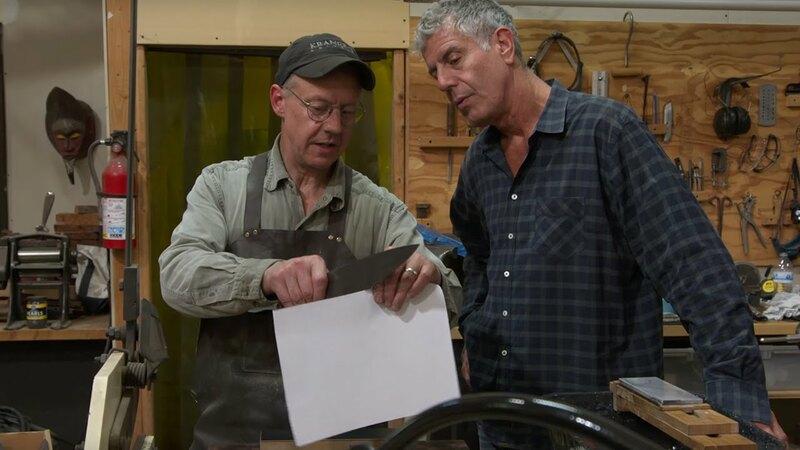 Anthony Bourdain & The Balvenie head to Olympia, Washington to see firsthand how master bladesmith, Bob Kramer crafts the perfect kitchen knife from melted meteorite. Kramer is one of only one hundred twenty-two certified master bladesmiths in the U.S. and the only one who specializes in forging the word’s finest kitchen knives. Murray Carter talks about being cut from Forged in Fire Series. Bloomberg Business highlights knife makers.